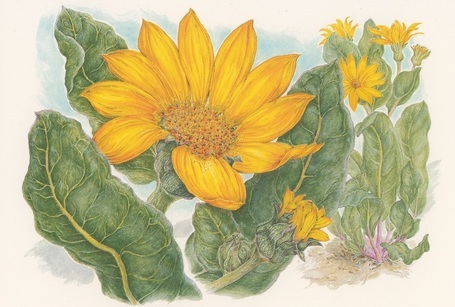 The Clarke Historical Museum begins an excursion into Humboldt County natural history with a Local Wildflower Exhibit featuring artwork and photos of native plants by artists who draw their inspiration from the region. On display will be a rotating exhibition of works by Dorothy Klein, Annie Reid, Patricia Anne Sennott, Rick Tolley, and photographs from Ron Johnson and Gordon Schatz. Also represented are some of the local organizations dedicated to native flora including the North Coast Chapter of the California Native Plant Society and Humboldt Botanical Garden. 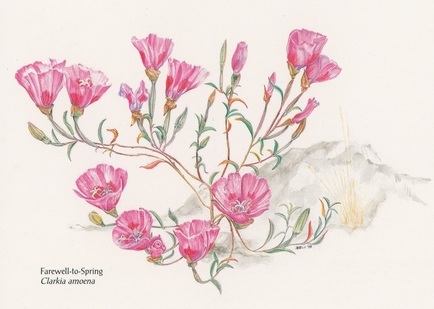 The Local Wildflower Exhibit opens October 3rd and will run through January 2. There will also be a Meet the Artists reception on December 12th from 4 to 6 pm with appetizers provided by Gabriel's Italian Restaurant. Everyone is welcome to attend.